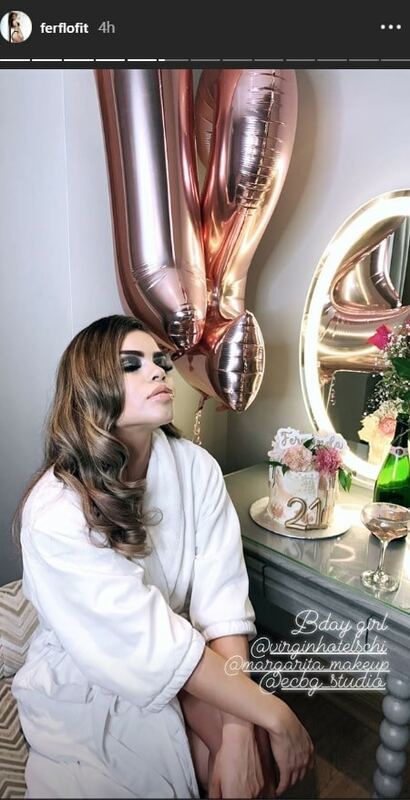 90 Day Fiance star Fernanda Flores turns 21 over the weekend. Jonathan Rivera‘s ex celebrates in style as she throws a fun-filled bash at a nightclub. Noticeably missing though was a birthday greeting from her ex-husband Jonathan Rivera. Although the two are currently not in good terms, some were hopeful that the realtor would at least acknowledge her special day. Looks like Fernanda Flores goes all out on her 21st birthday. The former 90 Day Fiance celeb did not hold back in treating herself like a queen on her special day. Jonathan’s ex starts off her day by getting a tan at goGlow in Chicago. The reality star also enjoys shopping at Topshop ahead of her party. Of course, the aspiring model will not let the day pass without making herself glamorous for the event. Fern gets a celeb-like treatment complete with her own glam squad as she prepares for the night. For her 21st birthday, Fernanda Flores opts for a seductive red dress matched with dramatic makeup and hairstyle. The 90 Day Fiance alum looks nothing short of elegant as she partied the night away at Clutch Bar Chicago. Fernanda keeps her fans updated with a series of photos and videos she uploaded on her Instagram Story. In one of her posts, Fernanda enjoys a glass of champagne while posing in front of the camera. Fernanda Flores also gets a birthday greeting from what appears to be club dancers. Several racy ladies surround the 90 Day Fiance alum while holding a flashing “Happy Birthday” sign and bottles of wine. But what caught the attention of many was the good-looking guy wearing a security shirt at the party. The anonymous dude can be seen slicing Fern’s cake and handing her a plate. Many were quick to point out that the guy seems to be flirting with the birthday girl. It remains unclear if the gentleman is indeed a member of security at the club or a friend of Fernanda. 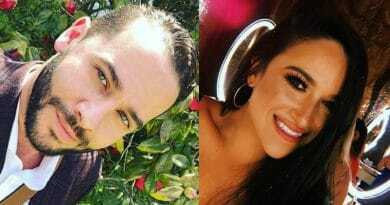 Meanwhile, Jonathan Rivera is quiet about Fernanda Flores’ birthday celebration. The 90 Day Fiance dude seems to ignore his ex-wife’s special day and goes on his busy day as usual. Fans of the couple noted that Jonathan has yet to greet Fernanda on her special day. In fact, her ex did not even bother to mention Fern at all on his Instagram post. Given that the two are still not in good terms, it’s quite understandable that both will steer clear from each other. By the looks of it, Jonathan and Fernanda still have a long way to go before they can be civil at the very least. 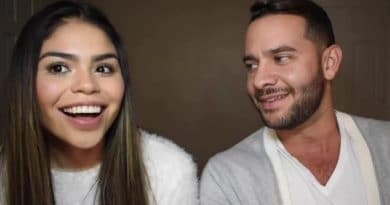 90 Day Fiance: Is Fernanda Ready To Love Again? With Fernanda Flores turning 21 years old, many are wondering if she’s now ready to give love another shot. 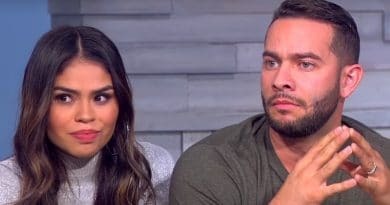 The 90 Day Fiance celeb has been very vocal about her desire to have her own family. However, her young age is always attributed to her somewhat immature ways of handling her marriage. Now that Fernanda’s a year older, will she be able to work on herself and future relationship more effectively? Only time can tell. For now, Fernanda seems to enjoy her life as a single and independent young woman.